Stewart Reuben has held almost every title there is in the British Chess Federation, from president on down. 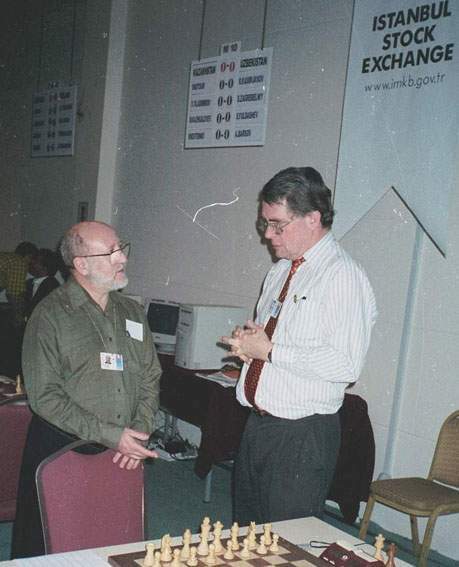 In this picture, Stewart Reuben, left, is speaking to another arbiter, Steve Boniface. This photo was taken at the World Chess Olympiad in Istanbul, Turkey.